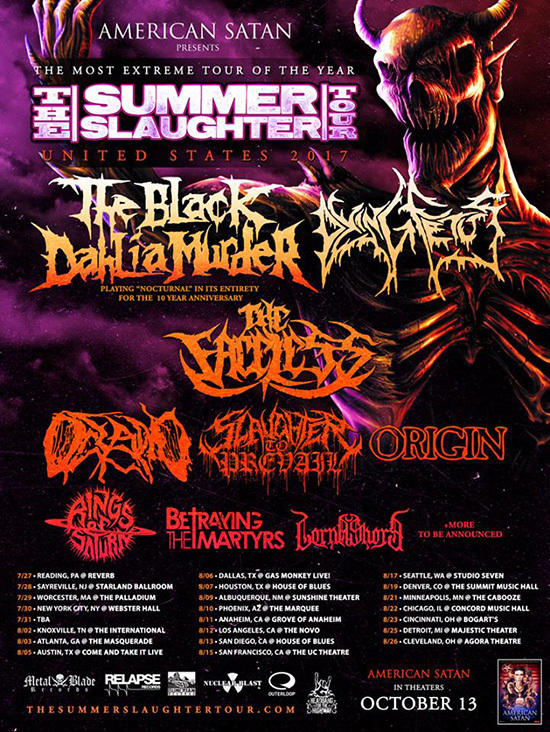 Currently finishing work on their upcoming 8th full-length, The Black Dahlia Murder will head back out on the road this summer, as co-headliners of “The Summer Slaughter Tour” with Dying Fetus! Featuring Oceano, Origin, Slaughter to Prevail, Rings Of Saturn, Betraying the Martyrs and Lorna Shore as support, this USA trek will also see The Black Dahlia Murder perform Nocturnal in its entirety, for the album’s 10-year anniversary – making this one show not to be missed! See below for all dates.